D. A. Van Dam & Associates offers cutting edge solutions to problems that exist in storm water systems. By offering more than one solution to problems we are able to asses situations and offer the best possible outcome usually saving time and money. By using one of the proven methods like Slip Lining, Spray Lining or UV Lining of existing structures we can provide structural strength without loss of hydraulics and in most cases with little or no disruption to the public. With the underground infrastructure in the state it is, D. A. Van Dam & Associates, LLC offers solutions through products and services that help reduce, stop and prevent erosion in a storm water system. From culverts to catch basins or just new construction, we offer a solution to any situation and problem. Product and Services to help rehabilitate storm water culverts including slip lining and spray lining. When dig and replace is not an option or a budget is of concern for culvert rehabilitation, we offer a slip lining process for HDPE and Steel Casing Pipe and (CMP) which are all an inexpensive and non-disruptive way of rehabilitating a culvert of almost any size. We can provide the material as well as the installation on all of our slip lining jobs making this a much lower cost method of improving a damaged or deteriorated pipe as compared to replacing it. This is effective in the rehabilitation of falling culverts, sewers and storm drains. We have partnered with some of the biggest producers of HDPE, CMP, and Steel Casing pipe in the world and can offer you a solution to any problem. The main advantages of this method are the minimal excavation required and the little interference with the underground structures. Reduced friction in the new pipe usually allows us to downsize the existing structure and still maintain carrying capacity of the sewer. D. A Van Dam & Associates, LLC is proud to offer the use of slip lining using HDPE pipe for culvert relining which is available in sizes 18" to 11 ft. We provide the service of slip lining and all needed material including grouting and clean outs. We are always available to answer any questions regarding slip lining or any other of our services. When a project is in need of a more secure method of lining and structural need is called for the use of steel casing pipe might be the answer. We now offer the service of slip lining using steel casing pipe as well as (CMP) Corrugated Metal Pipe. D. A. Van Dam & Associates, LLC offers spray lining products that are a rapid setting polyurea based coating which provide monolithic, chemical resistant, impervious coating used in a variety of applications ranging from flexible linings to rigid coatings for providing structural reinforcement. 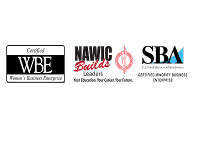 Our spray lining products have been utilized in tank and pipe linings, secondary containment applications, culvert rehabilitation, landfill liners and water proofing. As a way to help communities, municipalities and state organizations comply with outside demands, consent decrees and other forms of environmental influences, D. A. Van Dam & Associates, LLC offers you the service of Storm Water Maintenance Contracts. This gives a city, county or state a way to perform maintenance services on storm water systems under a specified amount of money year after year or on a job basis. Contact us for more information regarding Storm Water Maintenance Contracts.